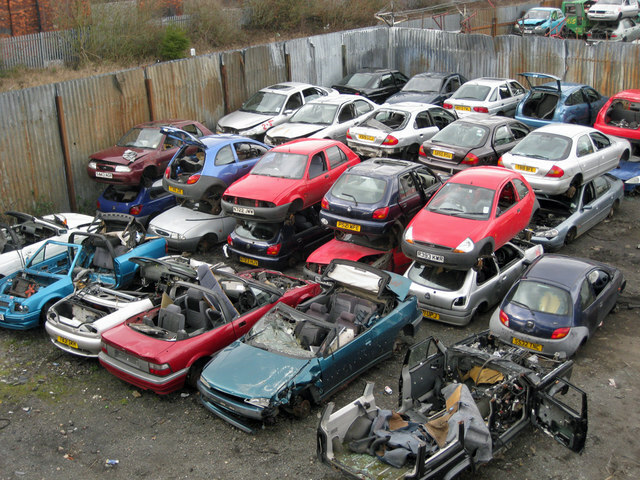 With growing concerns for the negative impact that vehicles have on the environment in terms of atmospheric pollution, waste materials, over-crowded landfill sites and fuel consumption, many EU countries have encouraged car owners to participate in a car scrappage scheme. The government backed scheme was introduced in the UK in 2009 to give a much needed boost to the car manufacturing industry during the economic crisis. It ran until 2010. Here’s a look at what the scheme entailed and the effect it had on manufacturers and the environment. During the scheme in the UK, motorists were offered a £2000 incentive to scrap their old car and buy a new more energy efficient model instead. The idea behind the scheme was that many older, unroadworthy cars would be take off the road, reducing pollution, noise and material wastage. The conditions of the scheme were that the car had to be more than 10 years old, and registered to the same owner for at least 12 months. The owner was also under obligation to buy a new more energy efficient model from a participating dealer. In other words, they couldn’t choose to simply scrap their car and pocket the money. Under the EU End Of Life Vehicle Directive, vehicle manufacturers were already encouraged to design and construct vehicles with components that could be reused and recycled to responsibly manage and reduce the build-up of wastage produced by scrap vehicles. The car scrappage scheme meant a much needed sales boost to the flailing economy, less pollution on the roads and safer, more reliable vehicles in circulation. Increase in sales was notable for Hyundai closely followed by Ford, Toyota, Fiat and Skoda. The highest number of scrapped vehicles under the scheme were Landrover, Porsche, Audi Quattro and Jaguar. The Government and car manufacturers deemed the scheme a success as new car sales hit record figures and the Government itself, made a tidy profit. The scheme also resulted in a decrease in CO2 emissions and noise levels generated by older vehicles. However, car scrappage is not all about profit and gain. Outside of the scheme, owners of end of life vehicles are still urged to scrap their cars through a registered scrap car company that is connected to an Authorised Treatment Facility. Scrapping your car is the best solution for improving the environment. For more information on our car collection and car scrappage service, contact Scrap Car Kings today.